Dominique is a senior paralegal who works primarily in the areas of estate planning, probate, guardianship, trust administration, corporate and tax return preparation. Dominique has more than 20 years of experience in estates and trusts. 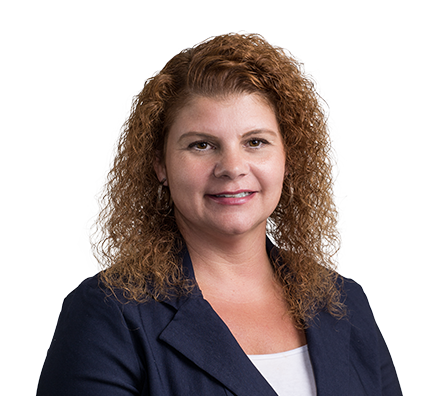 She assists attorneys and works closely with trust officers, brokers, bankers and fiduciaries to ensure client needs are met. Dominique also has an essential role in communicating with and directly assisting clients. Administering and maintaining trusts, including funding trusts, making distributions, maintaining investment and gain/loss information, preparing accountings and terminating trusts. Assisting with probate administration in states including Missouri, Illinois, Kansas, Texas, Florida and California. Assisting with guardianship and conservatorship matters. Forming and maintaining business entities in various states. Preparing a variety of tax returns for individuals, fiduciaries and corporations.